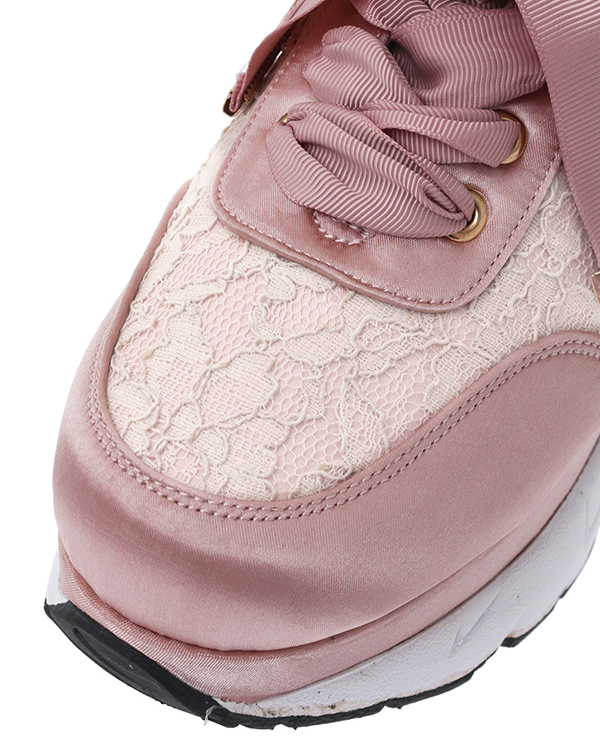 Thick sole sneakers with lace and satin details. The thick grosgrain ribbon and precious metal details are the perfect macth. Very light shoes easy to walk, the whole design will imrpove the whole styling of your coordinates!